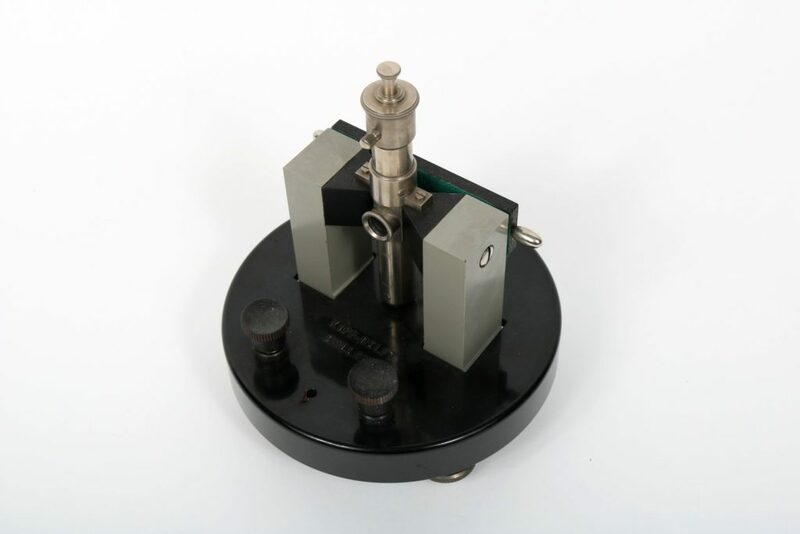 This object is a Moll Micro Galvanometer. The stand consists of a circular base with tripod legs, each adjustable with a screw. At the front of the base there are two electrical contacts with plastic knurled knobs on top to attach wires. Behind there is a horseshoe magnet mounted vertically, with the two ends of the magnet pointing upwards. 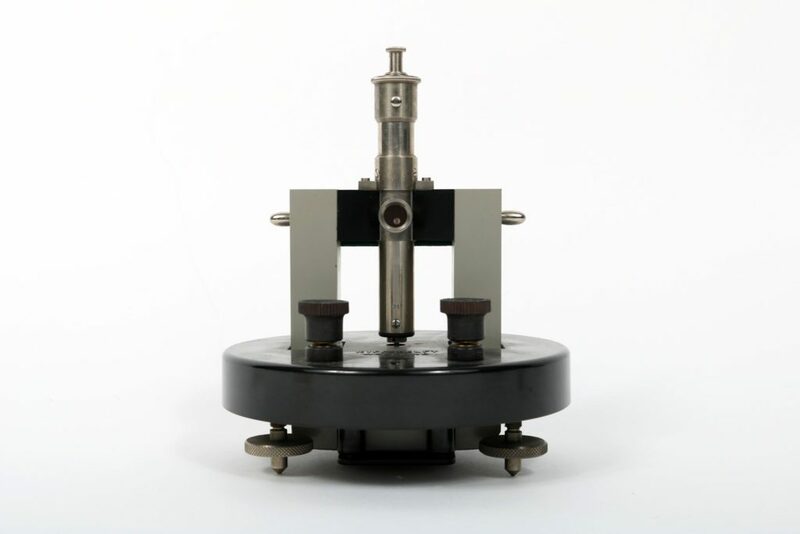 The suspension tube of the galvanometer is mounted upright between them. 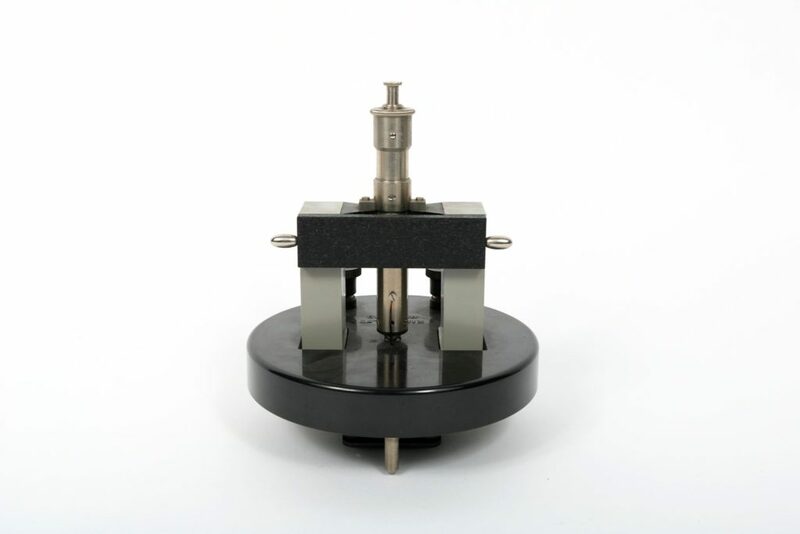 The galvanometer is attached by two small screws. The suspension tube is a metal about 14cm long and cylindrical, with ends that narrow at one end to a knurled knob and at the other to a rounded point. There are various other metal appendages emerging from the cylinder. In the centre of the cylinder there is a circular window. Visible through the window there is a small round mirror. Attached magnetically and bridges the ends of the magnet is a rectangular piece of metal, with two shiny handles on each side. This is covered with green felt on the inner surface. 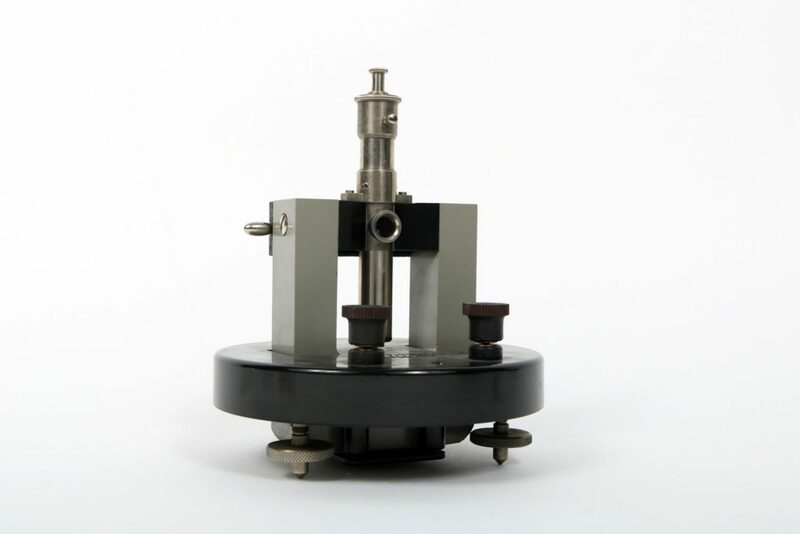 Mirror galvanometer, Galvanometer suspension tube. Metal, Iron Alloy, Plastic, Fabric, Felt. On the flat surface of the stand: “KIPP DELFT-HOLLAND”. On the barrel of the galvanometer: “1247”. Excellent: The object has few signs of damage. The top of the galvanometer tube is very slightly tarnished/dirty. 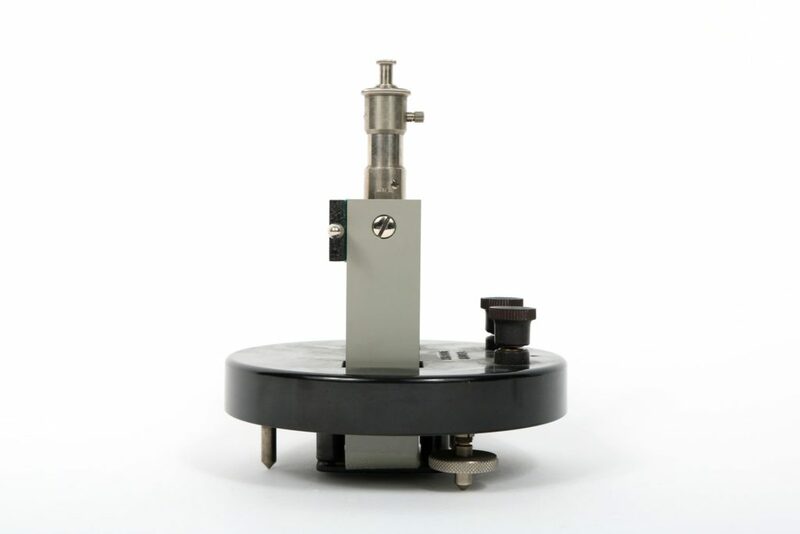 This galvanometer suspension tube came in a specialised box. This is catalogued under 2018.ast.67.3, alongside two other identical boxes.